Colour-enhancing water-repellent treatment for cotto and terracotta. HIDRO 400 is a stainproof waterbased impregnator color enhancer for terracotta. HIDRO 400 offers the material stainproof features while enhancing the material color of material and exhalting the natural properties of the surface. Application: The product can be applied after end of setting washing on the dry material. 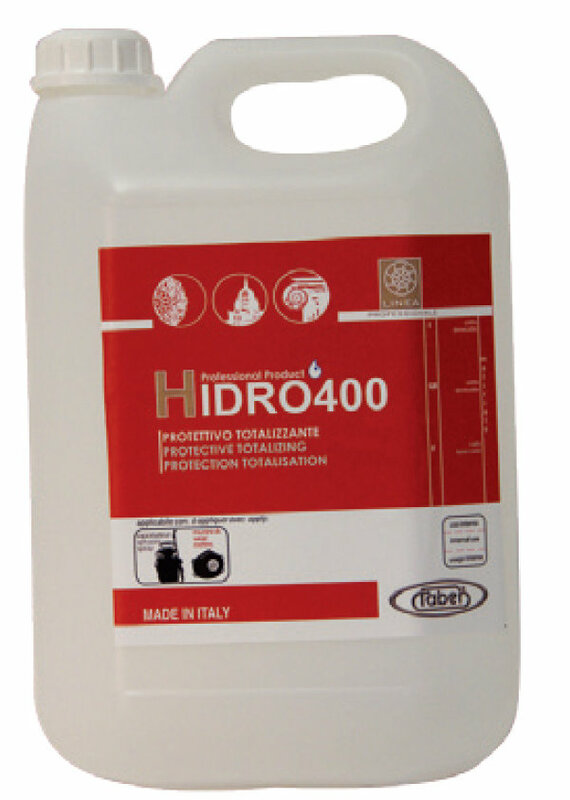 HIDRO 400 can be applied with a wax-spreader, low pressure spray or with a brush. Apply an even coat of product avoiding access and restrain the surface to traffic for 4-6 hours at least. In case two coats should be required, we recommend application “wet on wet”. We recommend to spread a wax coat after product application.